Bob Baffert already has two projected Kentucky Derby starters in Roadster and champion Game Winner. The Hall of Fame trainer can add a third when Improbable faces 10 scheduled rivals in the $1 million Arkansas Derby (G1) Saturday at Oaklawn in Hot Springs, Ark. Probable post time for the Arkansas Derby, which goes as the 11th of 12 races, is 6:43 p.m. CT. Thoroughbred racing begins at 12:35 p.m. Despite the threat of heavy rain, the infield will be open. According to Churchill Downs' official Kentucky Derby points rankings, Improbable is 27th on the list with 25 points The Kentucky Derby is limited to 20 starters. If the race overfills, starting preference given to horses with the highest point totals in designated races like the Arkansas Derby. Improbable represents the seventh Arkansas Derby program favorite for Baffert in the last nine years. He won the race in 2012 with Bodemeister and again in 2015 with American Pharoah, who would go on to sweep the Triple Crown, Breeders' Cup Classic and be named Horse of the Year. Omaha Beach is the early second choice after beating Game Winner, Baffert's previously unbeaten Eclipse Award winner, a nose in the second division of the Rebel. Trained by Hall of Famer Richard Mandella, Omaha Beach is 2 for 3 since switching from turf to dirt. He broke his maiden by nine lengths over a sloppy track Feb. 2 at Santa Anita and held off Game Winner after opening a clear lead in the stretch. Long Range Toddy will be the only horse to go through Oaklawn's four-race Kentucky Derby prep series this year. The Willis Horton-owned homebred finished second in the $150,000 Smarty Jones Jan. 25 and third in the $500,000 Southwest Stakes (G3) Feb. 18 before tagging Improbable in deep stretch to win the first division of the Rebel under Court. Gray Attempt was a wire-to-wire winner of the Smarty Jones – his first start around two turns – and won the $125,000 Gazebo Stakes at 6 furlongs March 23 in his last start. Gray Attempt, who missed the Rebel because of a hind-end problem, figures to be the controlling speed Saturday for trainer Jinks Fires, who won the 2011 Arkansas Derby with Archarcharch. Galilean, in his first start in open company, finished third, beaten 2 ½ lengths, in the first division of the Rebel for Hall of Fame trainer Jerry Hollendorfer. 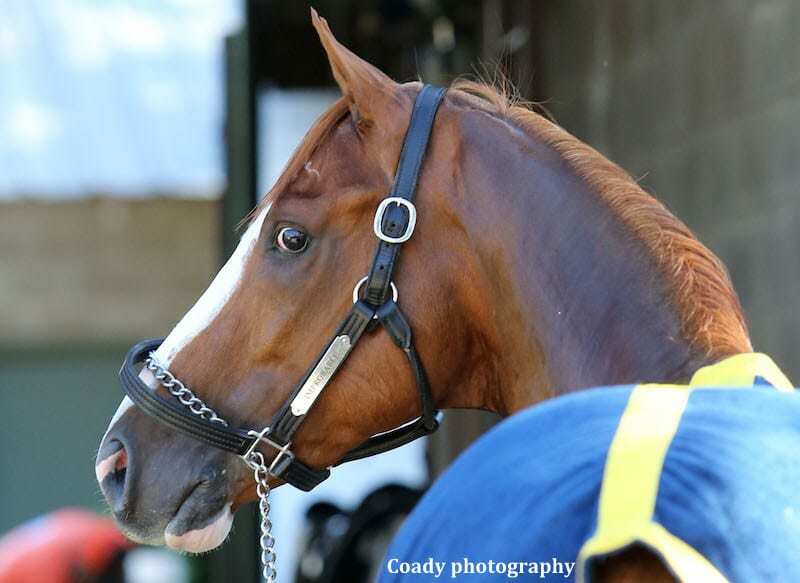 This entry was posted in NL List, Triple Crown and tagged arkansas derby, Bob Baffert, Horse Racing, improbable, Jon Court, kentucky derby, long range toddy, mike smith, Oaklawn, omaha beach, richard mandella, road to the kentucky derby, thoroughbred racing by Press Release. Bookmark the permalink.